Let’s give the Office of the National Coordinator (ONC) credit for trying. In what’s arguably the first significant piece of policymaking, the newly Republican HHS issued a draft Trusted Exchange Framework and Common Agreement (TEFCA) that aims to implement the massively bipartisan 21st Century Cures act mandate to end information blocking. Are they succeeding? Why should you care? After almost a decade and many tens of $billions spent on health information technology, neither physicians nor patients have access to a longitudinal health record, transparency of quality or cost, access to independent decision support, or even the ability to know what their out-of-pocket cost is going to be. After eight years of regulation, precious little benefit has trickled-down to patients and physicians. This post looks at the TEFCA proposal from the patient experience perspective. The patient perspective matters because, under HIPAA, patients do not have choice about how our data is accessed or used. This has led to information blocking as hospitals and EHR vendors slow-walk the ability of patients to direct data to information services we choose. Patients lost the “right of consent” in 2002. This puts a regulation-shy administration in a quandary: How do they regulate to implement Cures, when current HIPAA and HITECH-era regulations give all of the power to provider institutions bent on locking-in patients as key to value-based compensation? Health 2.0 sat down with Linda Molnar to discuss the evolution of Precision Health, the imperatives at stake in a fast-paced field, and empowerment through big data. Linda has over 20 years in the field of Life Sciences and is responsible for a number of initiatives that further the field with start-ups, the feds, and for investors. Her current endeavor is leading the upcoming Technology for Precision Health Summit in San Francisco alongside Health 2.0. “We’re never going to pull together all of this disparate data from disparate sources in a meaningful (i.e. clinically actionable) way, unless we talk about it” she says. “The Summit is an attempt to bring together the worlds of Precision Medicine and Digital Healthcare to realize the full potential of a predictive and proactive approach to maintaining health”. As a bonus, save 25% off the standard admission to the Technology for Precision Health Summit by using discount code TPH25. Register here! George Burns once said, the secret to a good sermon is to have a good beginning and a good ending—and to have the two as close together as possible. I think the same is true of final keynotes after a fantastic conference. So I will do my best to begin and end well, and keep the middle to a minimum. I have two main goals today. First, I want to praise the work you are doing, and set it into a wider context of the radical transformation of health care that has to happen if we want to achieve a system that is accountable to patients and communities, affordable, effective — and universal: everybody in, nobody out. My second goal is to recruit you. I’m the co-founder of the Right Care Alliance, which is a grassroots movement of patients, doctors, nurses, community organizers dedicated to bringing about a better health system. We have 11 councils and chapters formed or forming in half a dozen cities. I would like nothing more than at the end of this talk, for every one of you to go to www.rightcarealliance.org and sign up. But first, I want to tell you a bit about why I’m here and what radicalized me. My father, Mick Brownlee, died three years ago this Thanksgiving, and through his various ailments over the course of the previous 30 years, I’ve seen the best of medicine, and the worst. My father was a sculptor and a scholar, but he was also a stoic, so when he began suffering debilitating headaches in his early 50s, he ignored them, until my stepmother saw him stagger and fall against a wall in the kitchen, clutching his head. She took him to the local emergency room, at a small community hospital in eastern Oregon. This was the 1970s, and the hospital had just bought a new fangled machine—a CT scanner, which showed a mass just behind his left ear. It would turn out to be a very slow growing cancer, a meningioma, that was successfully removed, thanks to the wonders of CT and brain surgery. What a miracle! Fast forward 15 years, and Mick was prescribed a statin drug for his slightly elevated cholesterol. One day, he was fine. The next he wasn’t, not because his cholesterol had changed, but the cutoff point for statin recommendations had been lowered. Not long after Mick began taking the statin, he began feeling tired and suffering mild chest pain, which was written of as angina. What we didn’t know at the time was the statin was causing his body to destroy his muscles, a side effect called rhabdomyolysis. Even his doctor didn’t recognize his symptoms, because back then, the drug companies hid how often patients suffered this side effect. The statin caught up with Mick at an exhibit in Seattle of Chinese bronzes, ancient bells and other sculptures that my father had been studying in art books his whole career. Halfway through the exhibit, he told my brother to take him home; he was too tired to take another step. Most people have no way of accessing DNA-powered insights about themselves, and no way to store and use their genome in ways that they control. Technology for Precision Health Summit demoer Helix solves that by providing the world’s first online store for DNA-powered products where people can explore diverse and uniquely personalized products developed by high-quality partners. After being sequenced once with true next-generation sequencing, the user can query their data on-demand at any time for a large variety of uses. The costs of DNA sequencing have dropped rapidly, and our understanding of how DNA influences our lives has increased. For partners in the Helix marketplace, DNA now becomes a software problem, not a hardware problem, where a full clinical-grade exome is accessible through an API. Helix handles sample collection, DNA sequencing, and secure data storage so that our partners can integrate DNA insights into products across a range of categories, including ancestry, entertainment, family, fitness, health and nutrition. Check out a live demo of Helix’s DNA-powered tool from its co-founder Justin Kao during the New Diagnostic and Screening Tools panel session at the Technology for Precision Health Summit. Hear perspectives about the value of personalization, and lessons learned from being at the forefront of an emerging and exciting new consumer market. Register now for the Technology for Precision Health Summit. The Annual Health 2.0 Fall Conference has harnessed the creativity and passion of health care’s brightest professionals to tackle the industry’s most intractable problems and leverage technology-enabled solutions to drive more compassionate, more accessible patient-centered care. Check out the full agenda of our eleventh show, Oct. 1-4, in the heart of Silicon Valley. Innovative leaders, including Jason Pyle, CEO of Base Health; Simon Kos, CMO of Microsoft; Aashima Gupta, Global Head, Healthcare Solutions, Google; Brian Otis, CTO of Verily Life Sciences; Daniel Kraft, Founder and Chair of Exponential Medicine; and Jeff Margolis, CEO of Welltok. Policymakers, such as HHS CTO Bruce Greenstein; ONC National Coordinator Don Rucker; former ONC Director David Brailer; and former U.S. CTO Aneesh Chopra. Patient advocates, including Dave DeBronkart (e-Patient Dave) and Patient Power President Andrew Schorr. Representatives from more than two dozen major health systems, including UPMC, Mount Sinai, Dignity Health, UCSF, and more! Major healthcare investors, including Providence Ventures, Merck Ventures, GE Ventures, and more! Check out our full line up of speakers. Limited amount of tickets are available. Register Today to secure your place at the Fall Conference-event starts this Sunday. The integration of behavioral health into the primary care setting has resulted in a number of benefits. 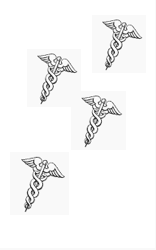 Traditionally, behavioral health and medical health operated separately, but in recent years, the integration of these two systems has improved access to care, ensured continuity of care, reduced stigma associated with seeking care and allowed for earlier detection and treatment of mental health and substance abuse issues. By bringing behavioral health specialists into primary care facilities, healthcare systems have streamlined care and brought down costs, working collaboratively and reducing the number of appointments and hospital visits. At Carolinas HealthCare System, we use technology to take behavioral health integration one step further. A robust behavioral health integration project was developed through myStrength, using virtual and telehealth technology to ensure that every primary care practice has the capabilities for early detection of mental illness and substance abuse and upstream intervention, easing the connection between behavior health specialists and patients who might otherwise be averse to seeking professional help. There’s still time to secure your ticket before prices increase to this year’s Health 2.0 11th Annual Fall Conference. Whether you’re a Health Provider, Entrepreneur or Investor; the Fall Conference is the place to see the latest health technology, to hear from some of the influential innovators impacting the landscape, and to network with hundreds of health care decision makers. Click here for the full agenda. Provider Symposium: Exchange of ideas between the best minds from leading health care systems in an effort to change the face of health care as we know it. The Evolution of Care Delivery Session: Top innovators from care delivery platforms address how they’re innovating for diabetes, oncology and more. The New Consumer World of Tools and Health Models Session: From the fast-evolving world of consumer genomics to the latest in wearables, we’ll feature exciting new technologies. MarketConnect: A live matchmaking event designed to accelerate the health tech buying and selling process by curating meetings between pre-qualified healthcare executives and innovators. Exhibit Hall: Gain access to 90+ exhibitors, including Startup Alley, is the premier gathering of innovative companies and individuals. The exhibit floor is also home to MarketConnect Live. Developer Day: Expect your day to be filled with strong technical sessions in relation to interoperability and user testing as well as opportunities to network from others in the industry. 2 CEOs and a President Session: Three top health tech executives sit down for separate intimate interviews with a journalist. They will be dishing on both their personal and company journeys. Investor Breakfast: Bringing together leaders in the Health 2.0 investment community and our innovative startup network for an exclusive breakfast meeting. Investing in Health 2.0 Technologies: Panel experts will address what’s in store for the rest of the year and predict the next big bets in Silicon Valley and beyond. Launch! : Ten brand new companies unveil their products for the very first time and the audience votes on the winner! Traction! : Annual startup pitch competition that recruits companies ready for Series A in the $2-12M range. Teams will compete in two tracks, consumer-facing, and professional facing technologies. Click here to register for the Annual Fall Conference! Prices increase after September 4th! Exhibit A: The Charlie Gard Case. For American conservatives, Britain’s NHS is an antiquated Orwellian dystopia. For Brits, even those who don’t love the NHS, American conservatives are better suited to spaghetti westerns, such as Fistful of Dollars, than reality. 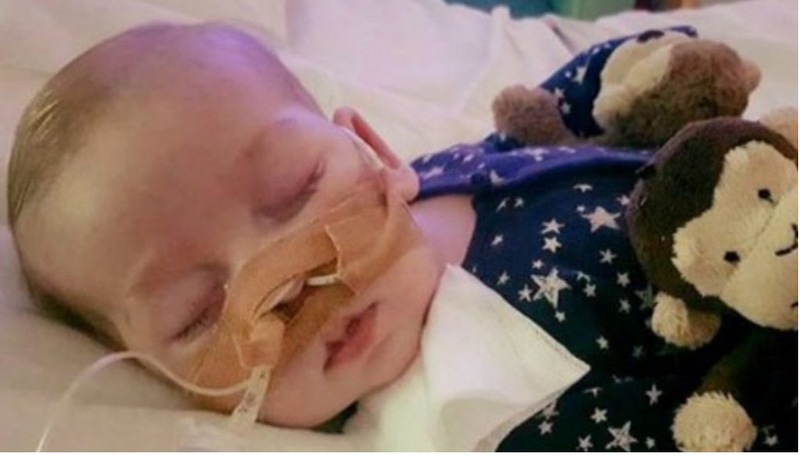 The twain is unlikely to meet after the recent press surrounding Charlie Gard the infant, now deceased, with a rare, fatal mitochondrial disorder in which mitochondrial DNA is depleted – mitochondrial depletion disorder (MDD). In this condition, the cells lose their power supply and tissues, notably in the brain, die progressively and rapidly. The courts forbade Charlie’s parents from taking him for a last dash of hope to the United States. This confirmed for many conservatives the perils of a government-run healthcare system, where the state decides who lives and who dies through Death Panels. Ted and Mike, whose healthcare reform might affect many curable little Charlies, were moved by the plight of an incurable Charlie. No European will understand the science behind their sentiment – if you care so much about a sick incurable baby, why don’t you care about sick, curable babies, they’d ask. Brits will never get the importance conservatives place on individual choice, even if that choice is forlorn, and of the lure of medical heroism. Conservatives seldom acknowledge that modern medicine reaches its limitations too quickly for Death Panels to be effective. Charlie was given a grim prognosis by doctors at the Great Ormond Street Hospital (GOSH), arguably the finest hospital for sick children in the world.